This is a baby quilt I finished last June and offered to my new born grand son. I chose to mix plain fabrics with printed ones, repro 1930. Ce patch plein de fraicheur est ravissant, mais plus encore la mise en scene !!! Cute, cute, cute...love the quilting on it! Que preciosidad de trabajo. Felicidades. Feliz Fin de Semana. Pretty quilt. Love your hand quilting on it. Beautiful! BEEEAAUUTIFUL! I love 9 patch and this quilt is so fresh and peaceful. Love it. Love the fact that you take the time to make a set up. It was not time wasted on me. I appreciate it. The quilt seems to have a border. May be you could show us more pictures of it please? Congratulation of this lovely finish. Lovely nine patch...perfect for a baby! 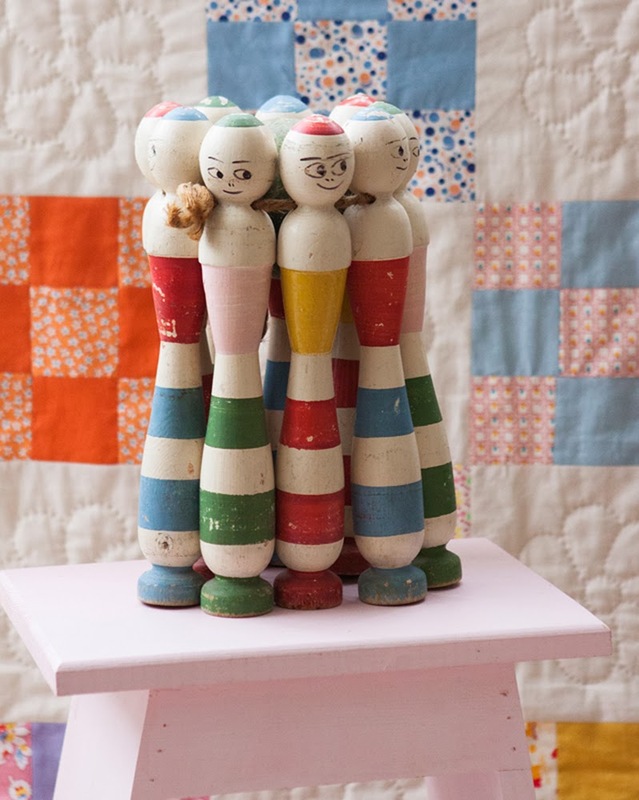 Love this photo and the quilt. Nice quilting stitches. Simply adorable! Love the quilting you did in the white squares. 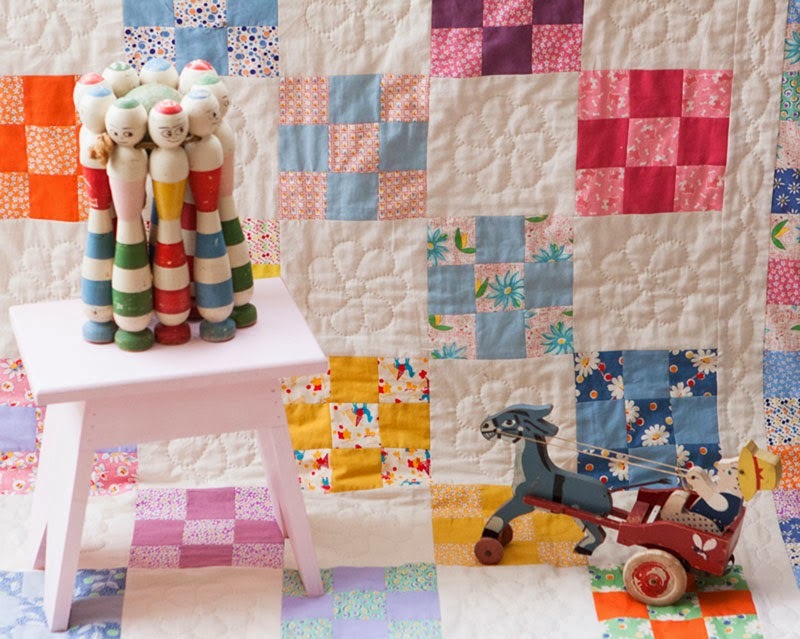 That quilt is perfect for a little baby. I love the flowers you quilted in the white squares. Beautiful quilt... and photographed so wonderfully! That is such a sweet quilt for a little boy. Love the skittles, too!